Now and then we like to talk to our customers and publish their particular use case of no CRM.io. Not only because it’s important for us to understand what our customers do, but also to understand the importance of the software in their particular industry. We want to know how it has benefited them and how it has helped them grow. The interview we’re sharing here today is with Mylvio Mendes, founder of Brazil’s leading agency in International Exchange Programs (they asked us not reveal the company’s name). Mylvio founded the agency in 2010 and worked until now as the Sales & Marketing Director. The agency sells International Exchange programs, from small language courses to full Masters degrees, in 20 different destinations, for the entire Brazilian market. In Brazil, they have offices in São Paulo and Porto Alegre. Abroad, they have an office in Dublin, Ireland, Brazilians’ favorite English speaking European destination. Mariana (noCRM.io): Mylvio, thank you for taking the time to speak to us today. You founded what is currently Brazil’s leader International Exchange Program Agency. Congratulations! You’ve been our customer for quite some time now. Could you tell us about the typical sales process of an exchange program agency? I love the pipeline view and all the information it gives us. Mylvio: Well, it was quite simple. Leads come in automatically from different contact forms that we have on the web, and we have a few salespeople answering them. As you may know, deciding on going abroad to study takes some time, so we need to nourish the leads continually. The idea is that once someone has reached out to us, a salesperson is in charge on following-up on it. I want to highlight the fact that I want each salesperson to manage their own leads; I don’t want different salespeople talking to the same potential customer. People spend time explaining to someone what they are looking for, create a relationship with one of our salespeople, and all of a sudden somebody else reaches out to them? No way. It’s a no-go for me. Mariana: So the relationship between the lead and the salesperson if extremely important. Was it easy for you to answer to that with no CRM.io? Mylvio: Absolutely! It’s actually the main reason why I chose your software. This was a big problem in my company before implementing no CRM.io. I would have 2 or 3 different sales people calling the same lead because the same person could make a contact request from various forms, and we had no means of identifying duplicates. It was a mess, and it drove potential customers away. Since we implemented no CRM.io, we’ve reduced the amount of “sales services conflicts” to less than 1%! This was huge for us! Since we implemented no CRM.io, we’ve reduced the amount of “sales services conflicts” to less than 1%! Also, our entire sales process was optimized thanks to the possibility of having the leads enter the system automatically and assigned to different salespeople. 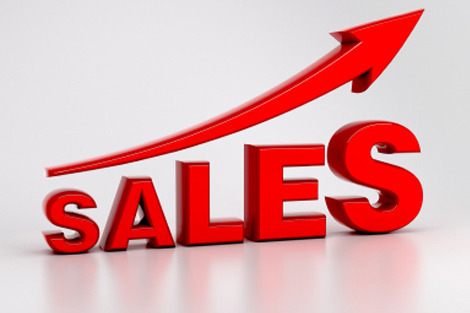 Our sales target increased by 47%! And, once we optimized all this, we were able to redesign the e-mail marketing workflow too. Mariana: Well, I’m delighted to hear that! So you decided to go with our lead management service because it could identify duplicates and because the creation process was automatic? Mylvio: Yes. That, and your super attractive pricing! But also how easy it is to use. I love the pipeline view and all the information it gives us. I know exactly where we are in our sales process, and I can follow the customers from the “cold” prospect to the won lead. Mariana: You mentioned earlier that you had no means of identifying duplicates before our system. How did you manage your leads? Mylvio: We used VTiger or a customization version of VTiger. I wasn’t happy with the results at all. And as I mentioned earlier, I dislike having two different people trying to sell me the same thing, so I did not want that for my business, and VTiger did not enable me to identify duplicates. Mariana: Thank you very much for your time, Mylvio. Your feedback is fascinating and valuable to us. One last question before we go: if you could change something in our system, what would it be? Mylvio: Nothing much. I would just broaden the number of integrations you offer or implement the possibility of creating quotes directly with no CRM.io. Mariana: We do have an API available, and we’re also available on Zapier.com to integrate with fantastic software specialized in those areas. Nonetheless, you’re right, and that’s why the focus of 2017 is on integrating with other existing software. Again, thank you very much for your time, and I hope I’ll be talking to you again soon.